Remember paper maps? Long before GPS, in-car navigation systems, and smartphones, you may have kept stacks of them in your car. Or maybe you stopped by a gas station for directions or a pay phone to tell someone you were running late. The world is pretty different today―we expect to be connected, no matter where we are. That’s why Android Auto is designed to give drivers an easy way to access the information they need―navigation, streaming audio, and communications—while minimizing the distractions they don’t need. Since its launch three years ago, Android Auto has grown to be supported by 300 car models and aftermarket stereos. 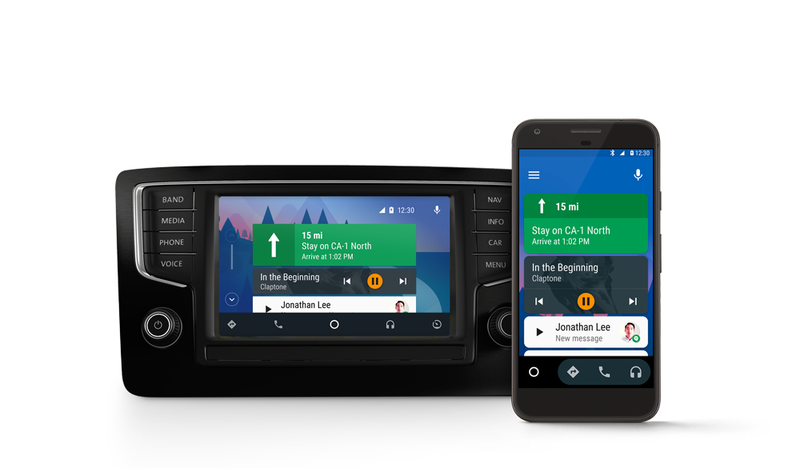 And thanks to the standalone Android Auto mobile app, millions more Android mobile users can now use Android Auto with the same large buttons and voice controls right on their phone screen, even if their car isn’t compatible. A preview of their systems will be on display at Google I/O this week, from Wednesday May 17 through Friday May 19. If you are attending in person, see you there! If not, tune into the livestream of our session on May 17 at 2pm PT to learn more.